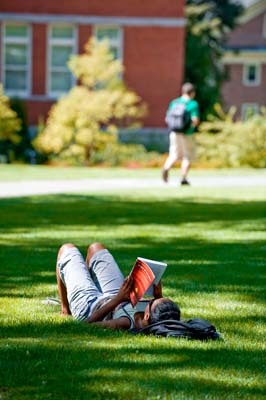 Each year, Washington State University welcomes over 1,300 new transfer students to its Pullman Campus. If you have attended another college or university and accumulated over 27 semester or 40 quarter credits since graduating from high school, you are considered a transfer student. You can learn more about transferring to WSU here. Plan ahead and be prepared for your career at WSU. We recommend that all students plan to visit the WSU campus in Pullman. You can do that at any time. Learn more about making the most of your visit here. One of the questions transfer students most frequently ask is, Which of my community college classes will count at WSU? We’ve got answers! Just visit our Transfer Center and follow the simple directions. You’ll need to know the course numbers of the classes you’ve already taken or are currently taking; you can get that information from your transcript.